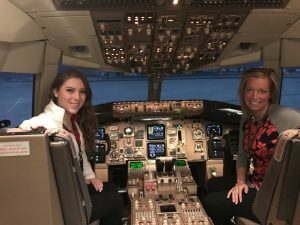 For aspiring students or recent graduates, an internship is a chance to gain real hands-on knowledge and experience in a field of one’s choice. It’s a time to showcase their skills and acquire new ones. Some look at their internship as a future job opportunity, while others take it on solely for the future benefits. 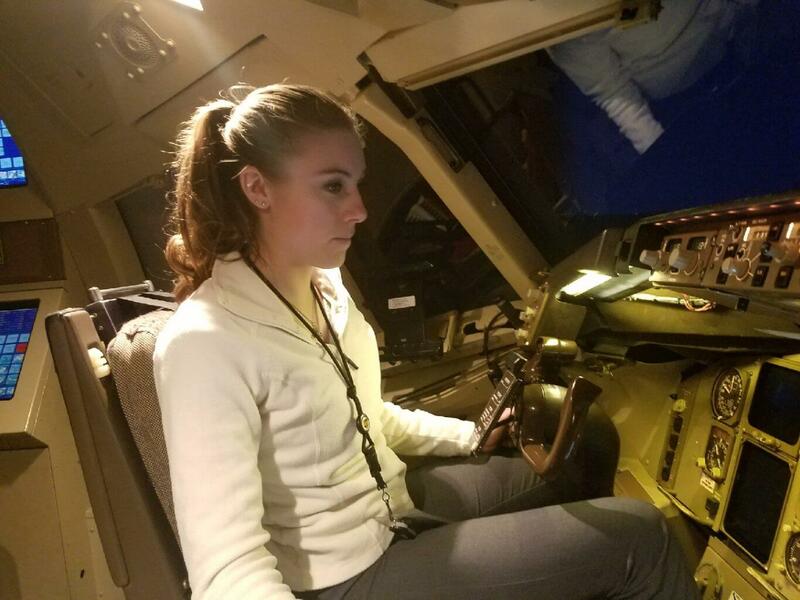 When Ameriflight EMB120 First Officer Kayleigh Bordner was working in the UPS Airlines internship program, she thought she was just another intern gaining a great experience behind the scenes of a 121 operation. Little did she know, her dedication to her everyday tasks and her passion for her job allowed her to leave a noticeable and lasting impact. As an intern at UPS, Kayleigh took part in many tasks including auditing the 757/767 aircraft operations manuals and conducting simulator tours. But it was more than just the everyday assignments that lead her supervisor, Arthur (Ardy) Holloway, to nominate her for the award. It was her positive contributions, teamwork, and initiative that Ardy says will leave a legacy at UPS. 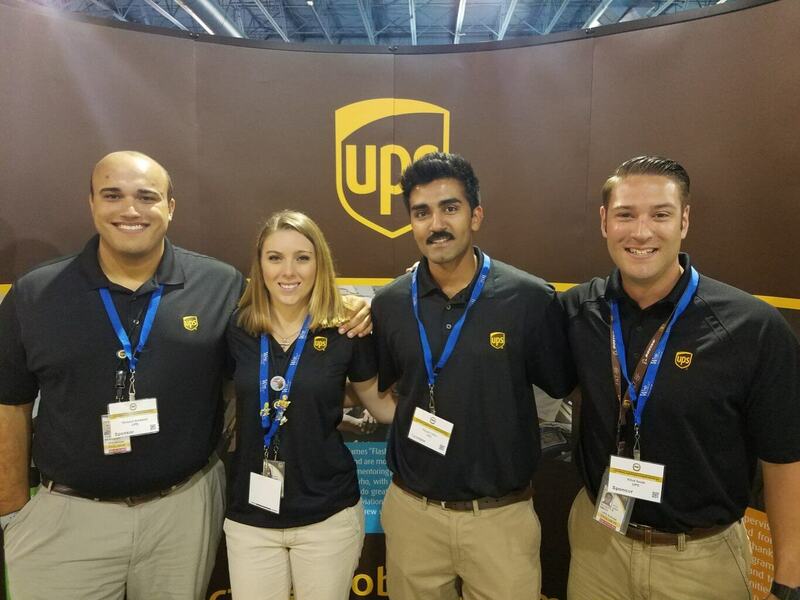 “I nominated you [Kayleigh] because I thought you did an exceptional job, were highly motivated, were able to communicate effectively with everyone you came in contact with, and were passionate about not only aviation, but your opportunity at UPS,” said Ardy. 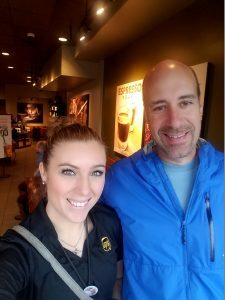 During her internship at UPS, Kayleigh was constantly seeking out opportunities. 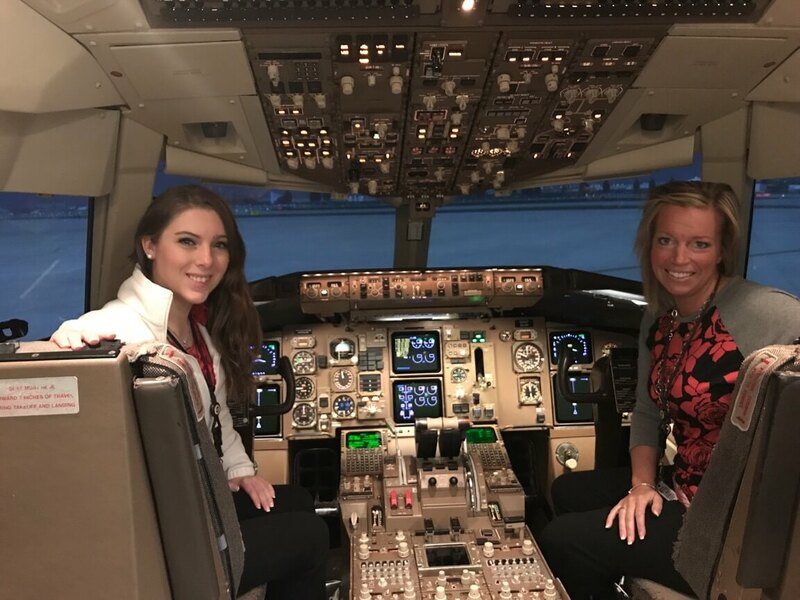 She aided in UPS attending Oshkosh Air Venture and even represented them at the event. She also took initiative within the group of interns to create social time outside of work, inviting them to her parent’s ranch to partake in various team building and bonding activities. “I can only hope that the next interns take a page out of Kayleigh’s book and are as eager to learn, ask a million questions and embrace the company as if they were going to run it one day. You never know what the future holds. As for Kayleigh, her future is bright, as I mentioned, she’s headed to Ameriflight to gain some experience flying. I fully expect her to come back kicking UPS’s front door down and walking back through as a First Officer in the near future. We eagerly await her return,” said Ardy. UPS isn’t the only one feeling the lasting effects of the internship. Kayleigh feels her experiences at UPS and this nomination have opened the door for many more future opportunities. 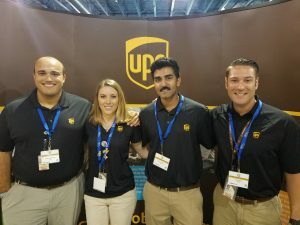 “The UPS internship is probably one of the best things that has happened to me. It taught me a lot about the airline industry, but it also opened the door to cargo operations for me. I was just giving 110% to my job and doing it to the best of my ability. It never once crossed my mind that I would have such a lasting impression on UPS,” said Kayleigh. Although she did not walk away from the February 7th luncheon with the award, the experiences and lessons Kayleigh takes away far exceed it. 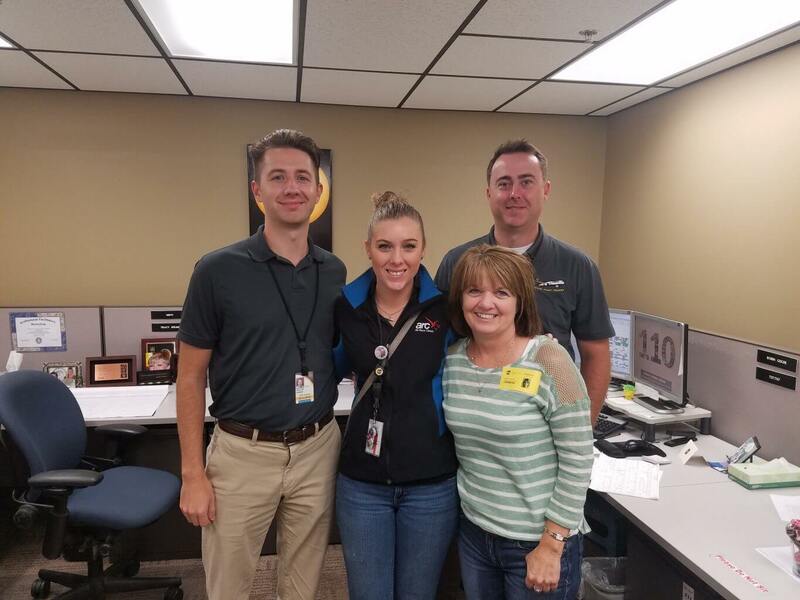 Kayleigh joined the Ameriflight team in September 2017 through the UPS/Ameriflight Gateway Program after serving as an intern at UPS Airlines. She currently flies the EMB-120 Brasilia as a First Officer out of Kalispell, Montana. 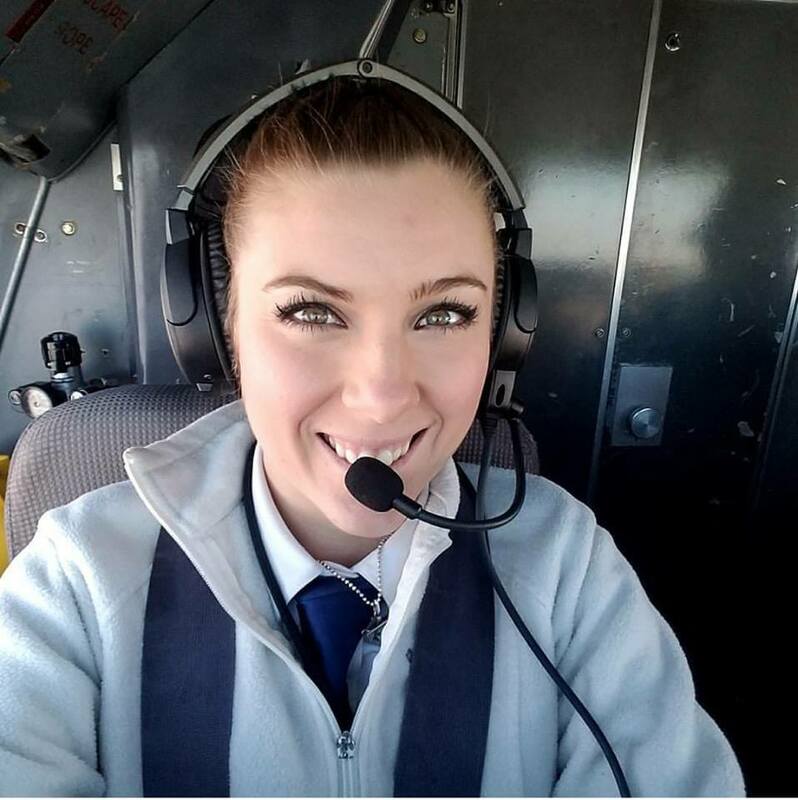 Ameriflight is proud to have you on our team, Kayleigh!